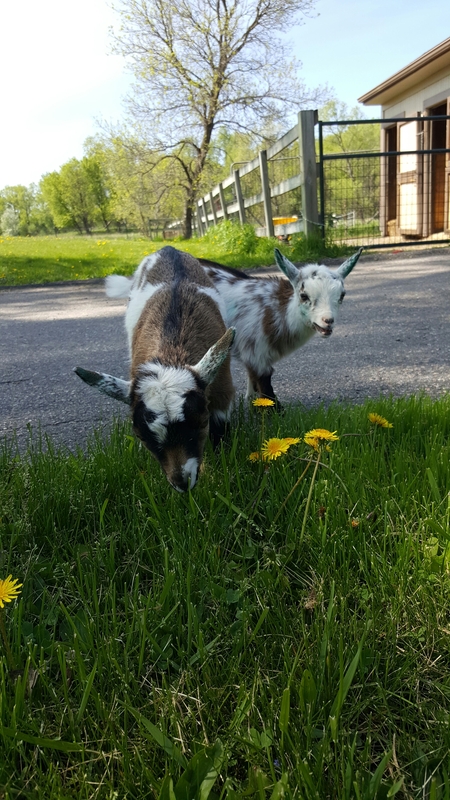 I was pretty adamant to get the goats on a Friday because I knew it would take me all weekend to get them settled, and boy was I right. I was returning to toddler years and these two were reminding me when my two children were that age. 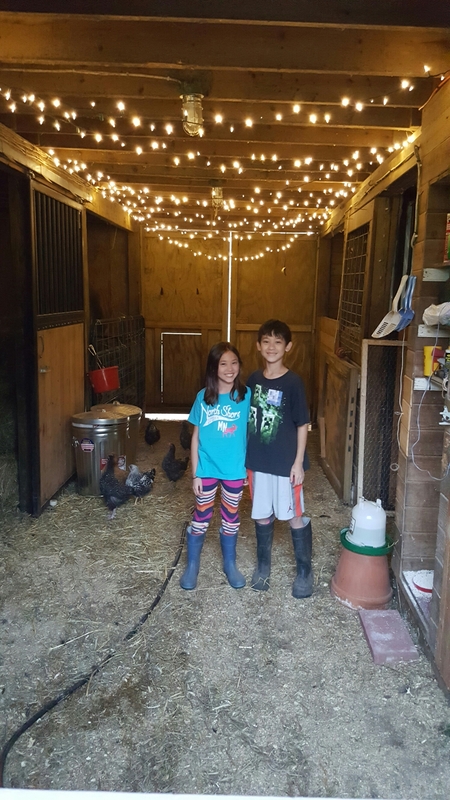 The first night was a chorus of noise for the neighborhood between the goats bleating and the chickens yelling danger calls. We then transitioned to the chickens calming down but the goats crying every time we left them. At this time I also discovered how small of a hole the goats could sneak through. 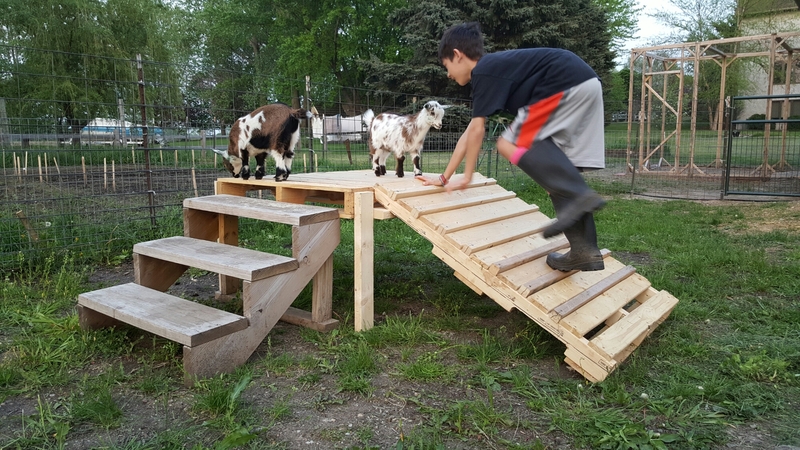 After 3 escapes- one was caught by the neighbors, we finally set up a goat proof pen. 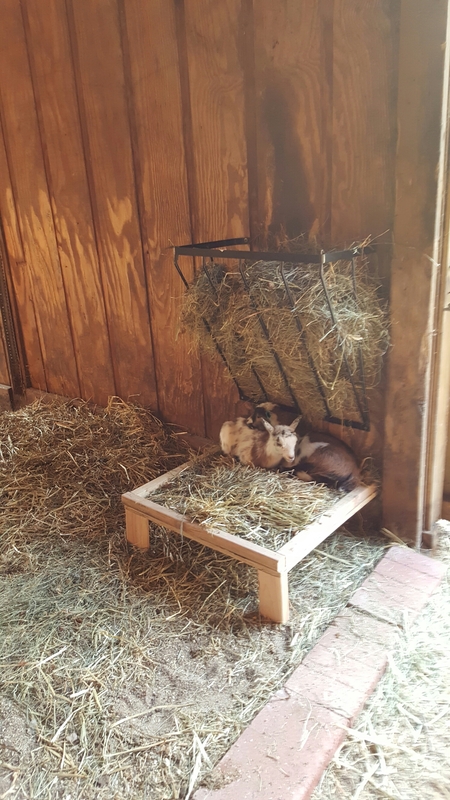 Since these guys are pets, we also took the time to build them a play gym out of old pallets. You know it was a good weekend when the kids are still smiling at the end of the day. Some may have noticed there are still only 2 goats. 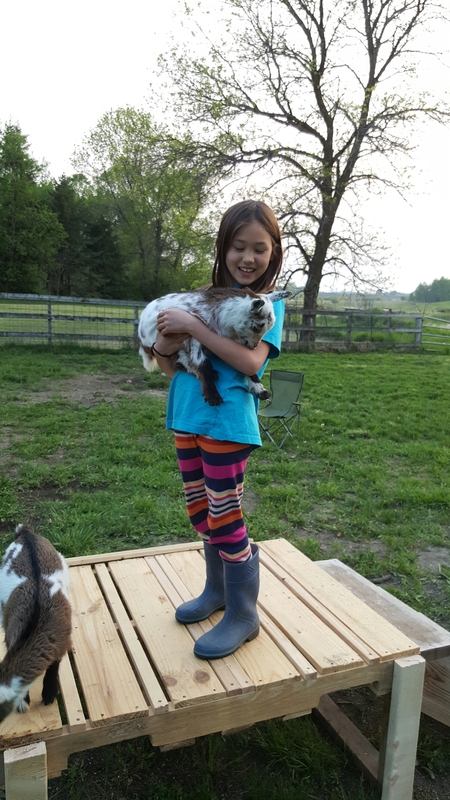 Vanilla Bean, the third goat was suppose to be delivered from South Dakota, however, another doe passed away in the herd and the breeder wanted to make sure it was not contagious. She believes it was something the doe had eaten. So hopefully it will be a complete package soon. I also wanted to do a quick garden update. I have rhubarb ready to cut and corn, carrots, onions and sunflowers all sprouting.